control OFF, and unplug the refrigerator or disconnect power. door from the bottom hinge pin. keep it for later use. See Bottom Hinge graphic. 5. Remove top hinge cover from left-hand side refrigerator door. graphic. Lift the left-hand side door from the bottom hinge pin. graphic. Do not tighten the screws completely. Hinge graphic. Tighten screws. Replace the refrigerator door. 4. Replace the top hinge covers. the freezer drawer. Graphics are included later in this section. 1. Open the freezer drawer to full extension. drawer front. See Drawer Front Removal graphic. 3. Lift drawer front upward and off the screws. drawer brackets. 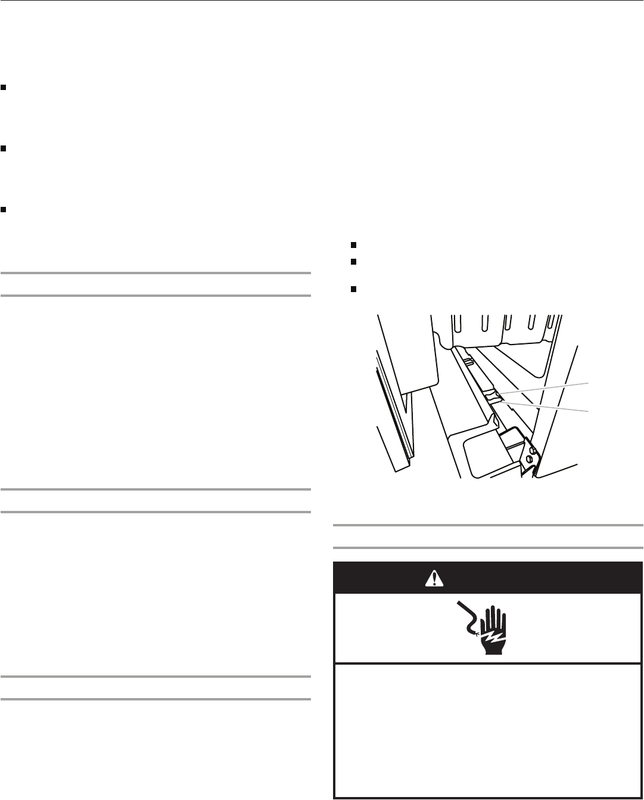 See Drawer Front Replacement graphic. 4. Replace the base grille. Pull open the freezer drawer. three tabs at the base of the refrigerator. †®TORX is a registered trademark of Acument Intellectual Properties, LLC.